Spring is here in Hammond, LA, and we can already feel the heat index rising. You’re going to need your air conditioner to function every day, and if yours is starting to look a little long in the tooth, now is the time to do so. We’ve talked a lot about determining when you old air conditioner needs to be replaced, and we haven’t talked about the specific benefits you can enjoy by replacing an old air conditioner with a new one. Mot people adopt the notion of running their existing air conditioning system into the ground before replacing it, but if your system is struggling and its warranty has expired, there’s really no reason to wait. With fall coming to Hammond, LA, we’re finally at a point where you can turn off your air conditioner for a few days. And if you have an older air conditioner, now is the time to think about replacing it. When looking for a new air conditioner, pay careful attention to the SEER rating, which stands for Seasonal Energy Efficiency Ratio. The higher the rating, the more efficient the air conditioner. What are SEER ratings specifically, and how do they work? Read on for the answers. Posted in Air Conditioning | Comments Off on What Are SEER Ratings? What Factors Go Into Air Conditioning Sizing? If you’re purchasing a new air conditioner, you need to know how powerful it should be to adequately cool your home. Undersized air conditioners simple won’t do the job, while oversized ones will short cycle – turning on and off too rapidly – which wastes power and adds undue strain on the system. (Air conditioners use most of their power starting up and shutting down, which is why you want yours to run for at least 15 minutes every time it turns on.) Both of those situations can cost you a great deal of money in monthly bills and add to the risk of a breakdown, which is a serious concern here in Hammond, LA, where our summers are blisteringly hot. A good technician can perform proper calculations on your home to determine the properly sized air conditioner for you. But what factors go into air conditioner sizing? Here’s a quick rundown. Posted in Air Conditioning | Comments Off on What Factors Go Into Air Conditioning Sizing? Do I Have Other Air Conditioning Installation Options Than a Standard Split Unit? 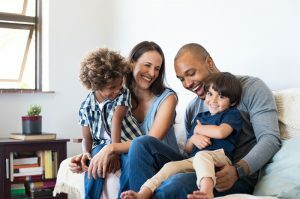 The majority of homes use a split system central air conditioner to provide cool temperatures during the summer and other periods of warm weather. The “split” means that cooling system is divided into two separate units: an outdoor cabinet that contains the compressor and the condenser coils, and an indoor unit that contains the blower fan and the evaporator coils. The two units connect through power and refrigerant lines, and the indoor unit hooks to the ventilation system that distributes the cooled air throughout the home. Aside from a small window unit, which is only effective for small homes or apartments, are there other options when it comes to a new air conditioning system aside from this old standard? There are, and we’ll look at a few of the choices for a new AC installation available today. Give A-Professional Heating and Air Conditioning a call today to learn more about your alternatives for air conditioning installation in Mandeville, LA. This is an excellent choice for homeowners who want to combine the power of a central air conditioner with the point cooling of a window unit, bypassing the need for ductwork. 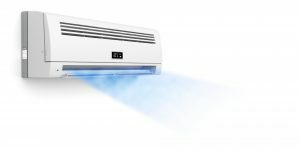 Ductless mini splits still use an outdoor cabinet, but replace the single indoor cabinet with multiple small air handlers placed on the walls of the rooms. The mini air handlers send conditioned air directly into the living spaces without using ducts. Ductless mini splits offer increased energy efficiency and indoor air quality. Zone control is an improvement to central air conditioning that can either be part of a new installation or done as a retro-fit. Zone control systems permit you to manipulate temperatures separately in different areas of the house, and this allows for customized comfort for the rooms and the people in your home, as well as lowered energy bills. Outwardly, there isn’t much different between a heat pump and a central split air conditioner. But there is a huge difference in their operation: a heat pump can also provide warmth as well as cooling. They make very energy efficient options for the mild winters in Southeast Louisiana. What choices for central air conditioning are right for your home and family? You will need to talk to AC professionals, like our skilled team at A-Professional Heating and Air Conditioning, to make the right decision. We’re here to see that you receive the ideal comfort and savings from your new air conditioning installation in Mandeville, LA. Posted in Air Conditioning | Comments Off on Do I Have Other Air Conditioning Installation Options Than a Standard Split Unit?